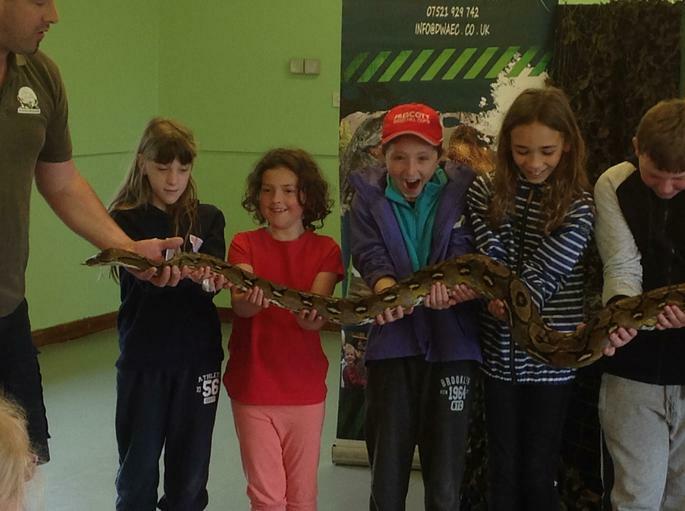 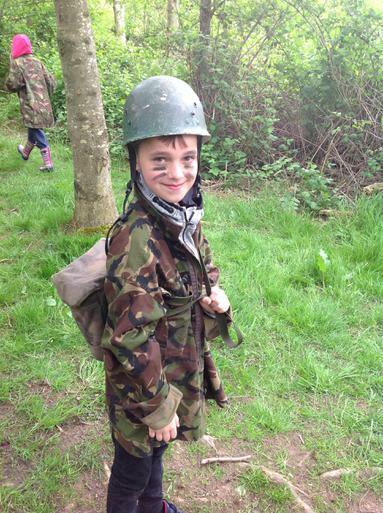 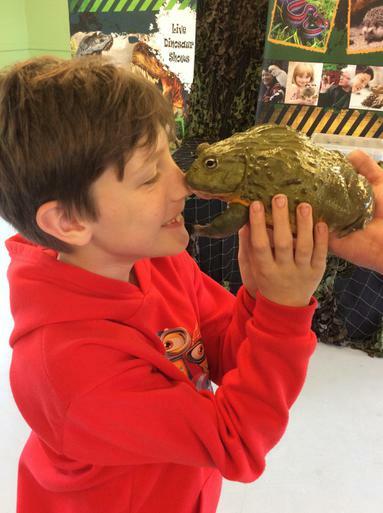 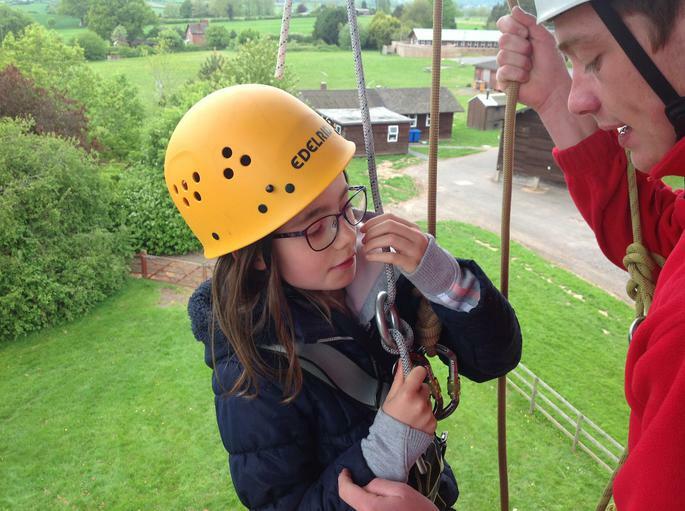 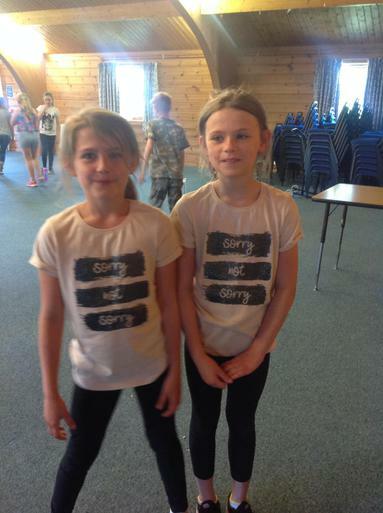 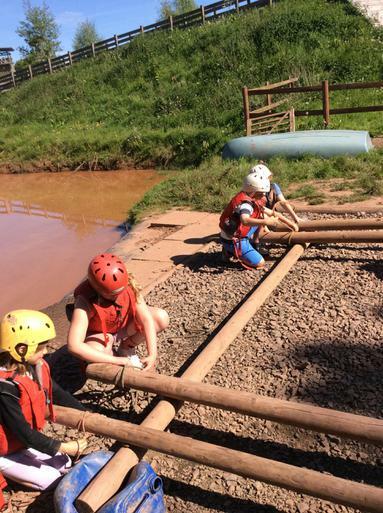 This morning, our year 5s are back in school from a fabulous week away in Kidderminster at the Pioneer Center. 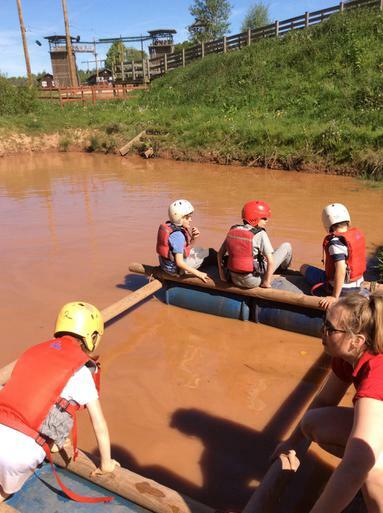 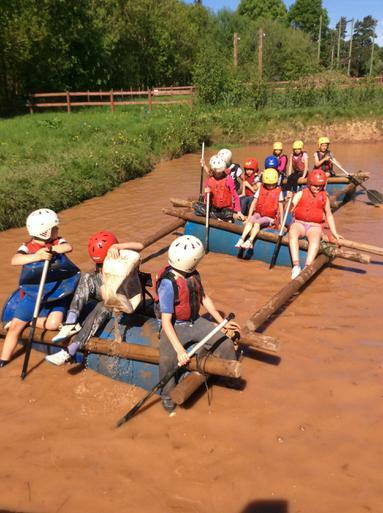 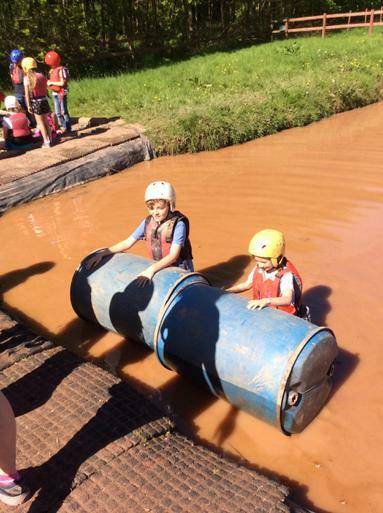 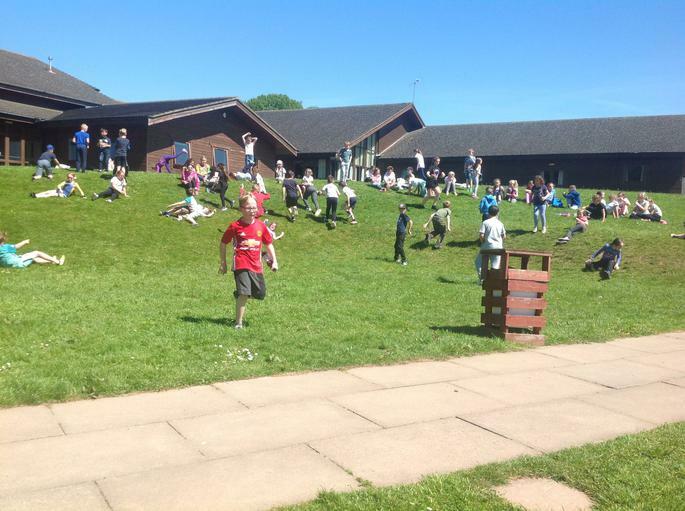 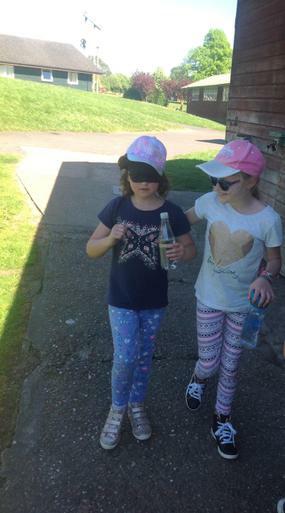 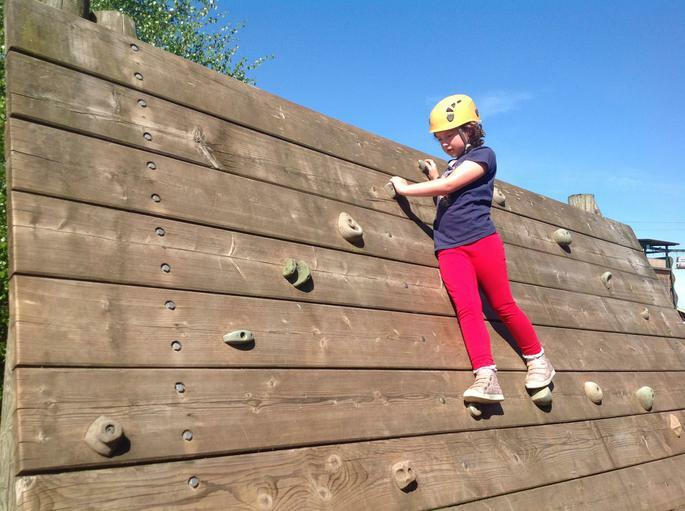 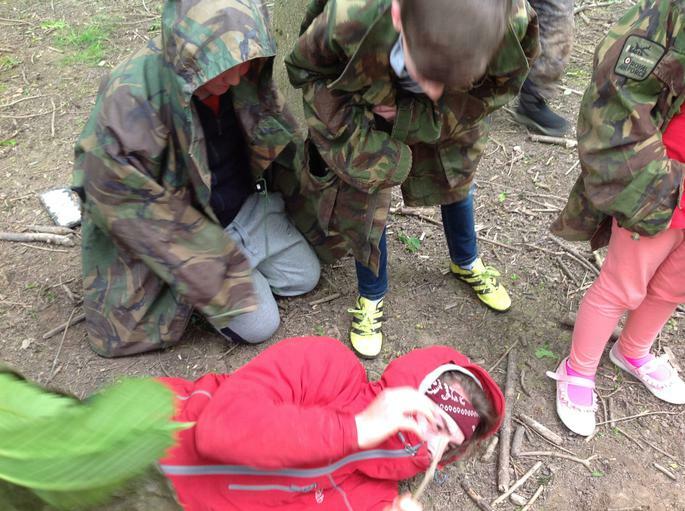 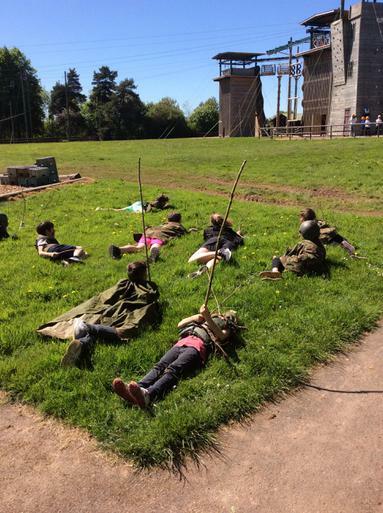 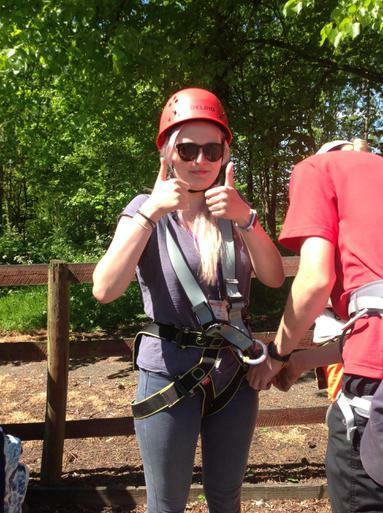 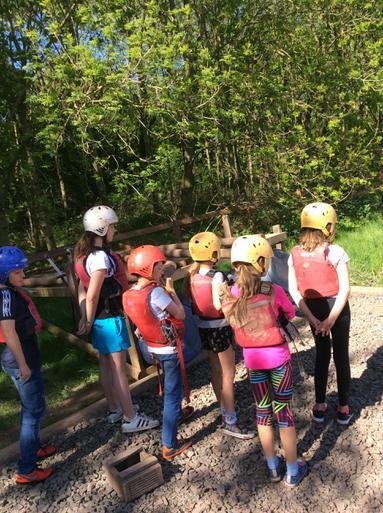 They all had a fantastic time and the weather was glorious enabling them to make the most of every outdoor activity. 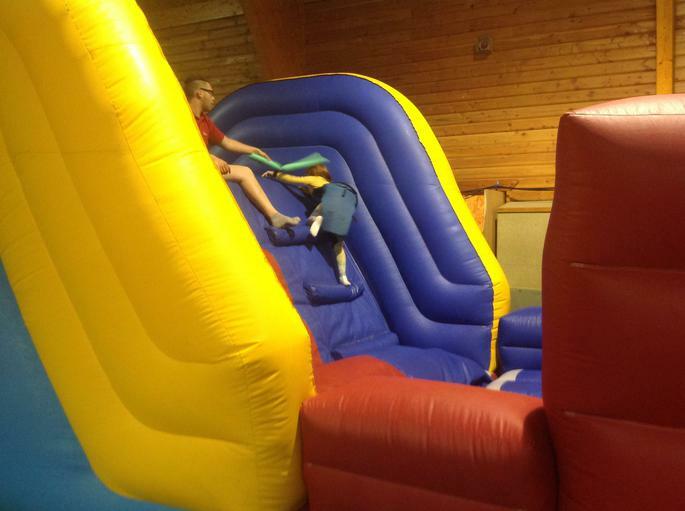 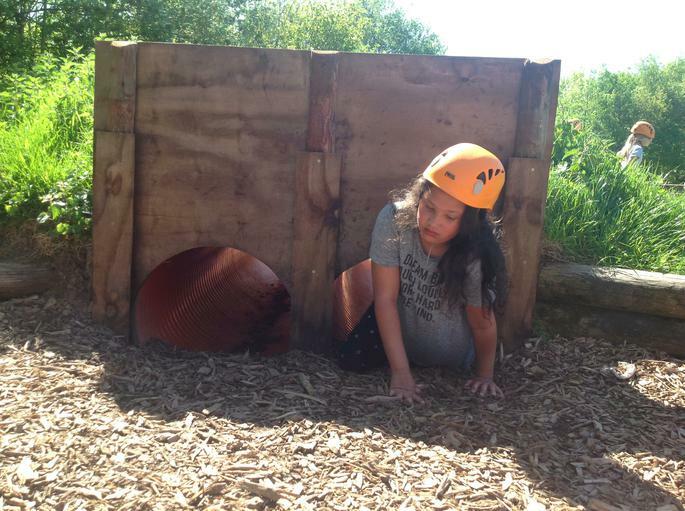 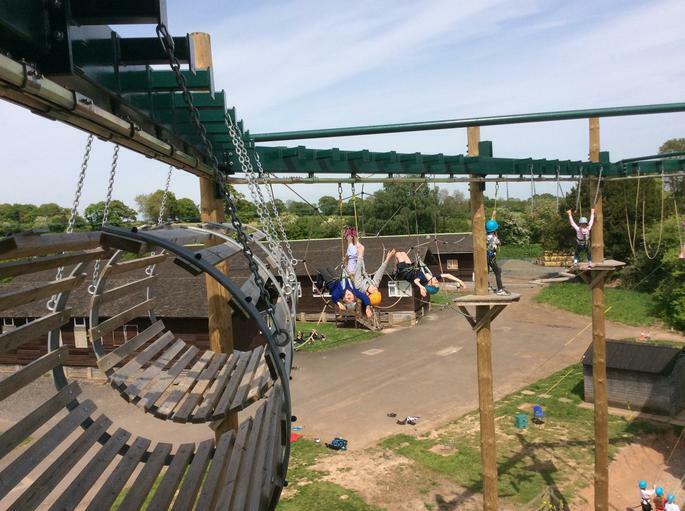 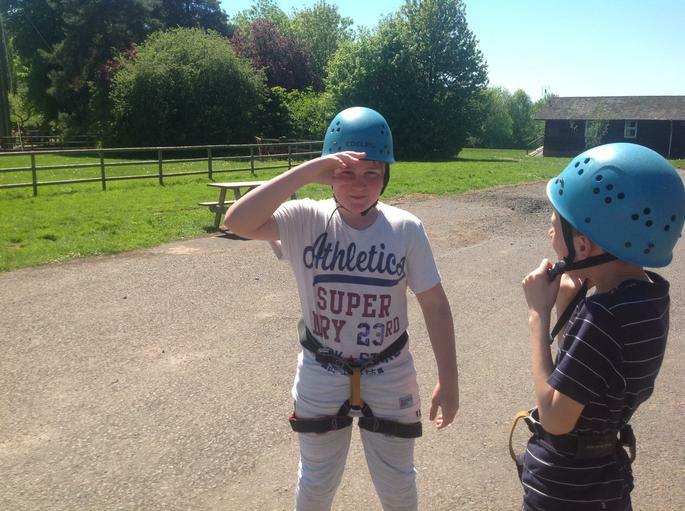 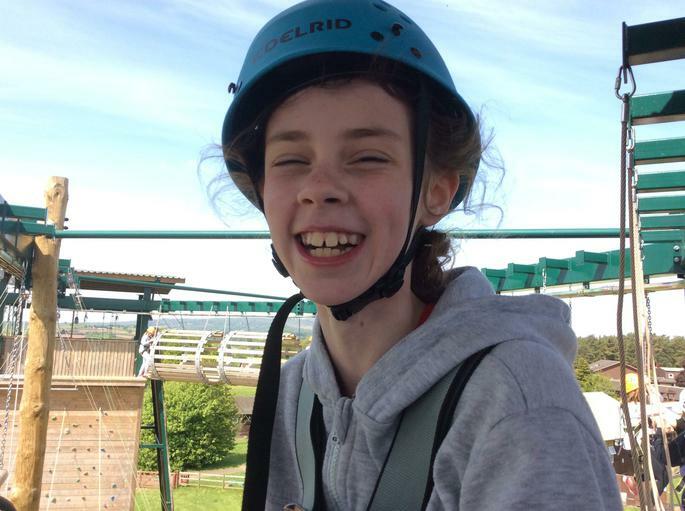 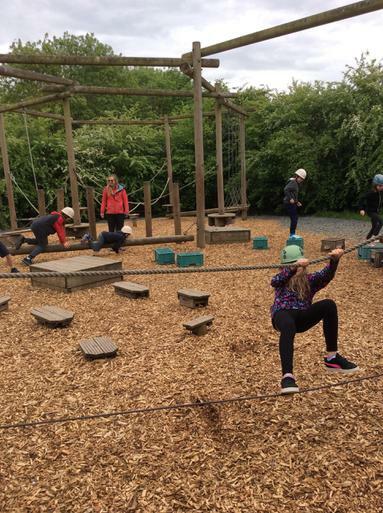 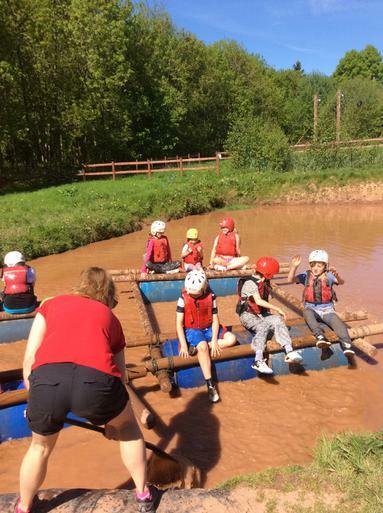 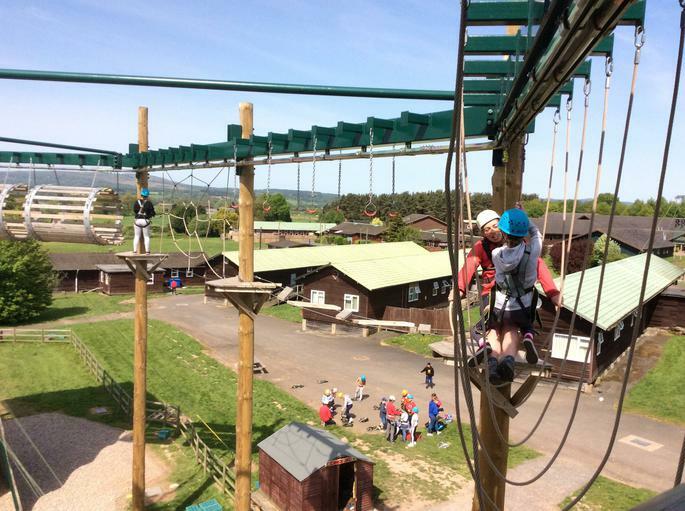 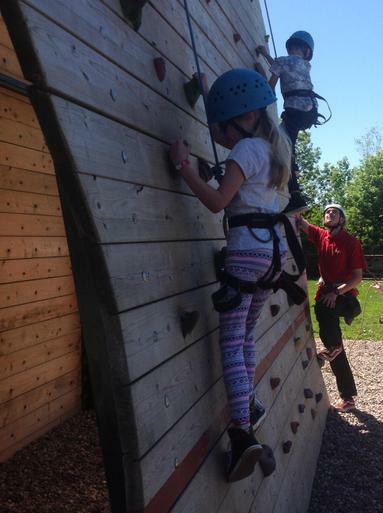 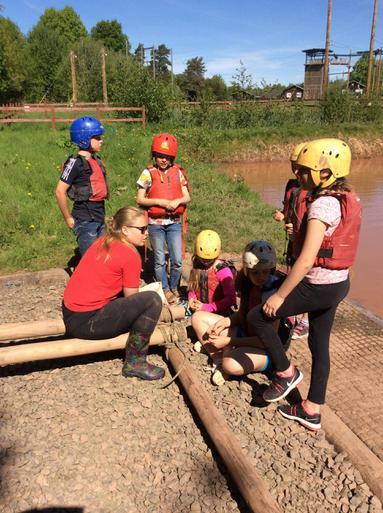 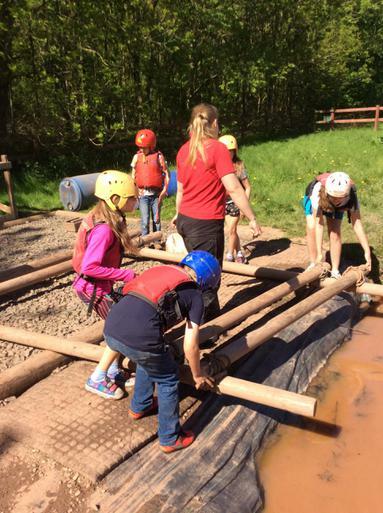 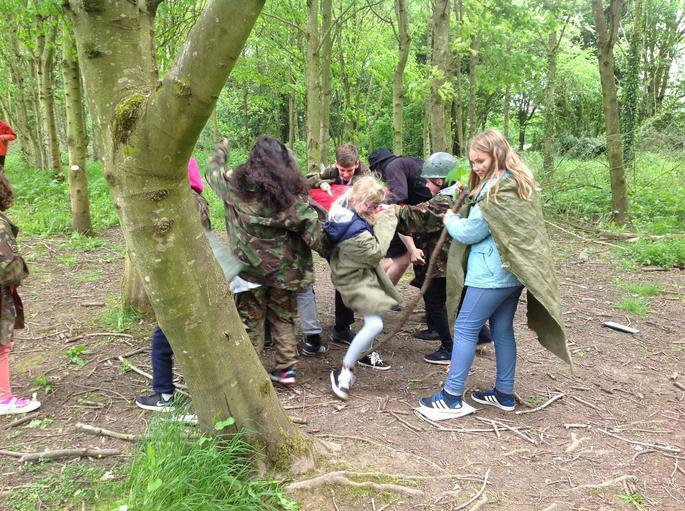 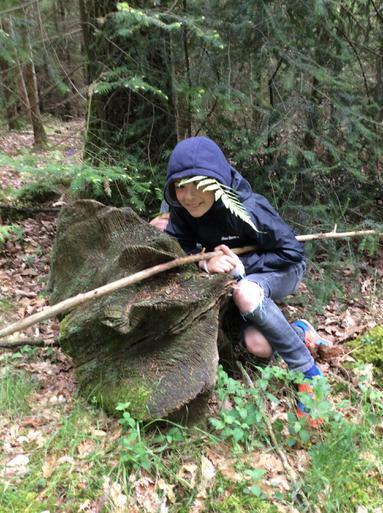 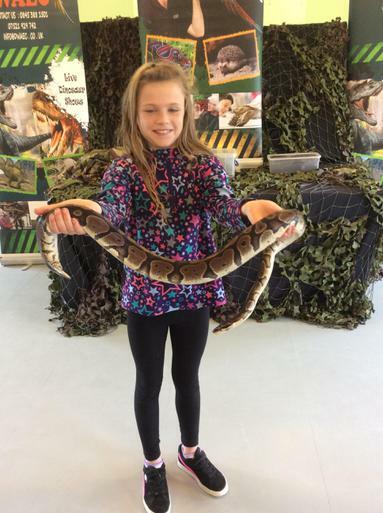 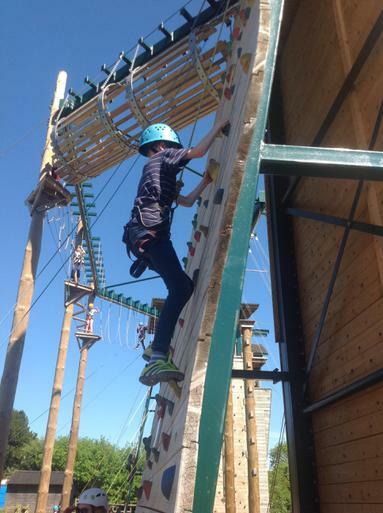 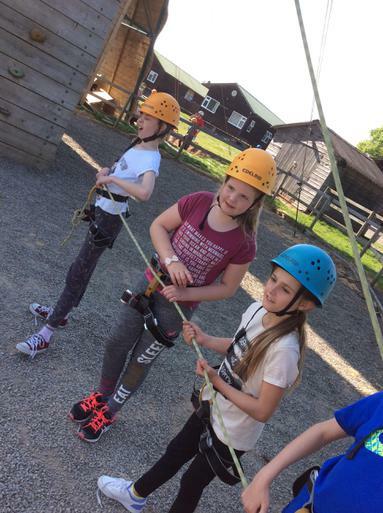 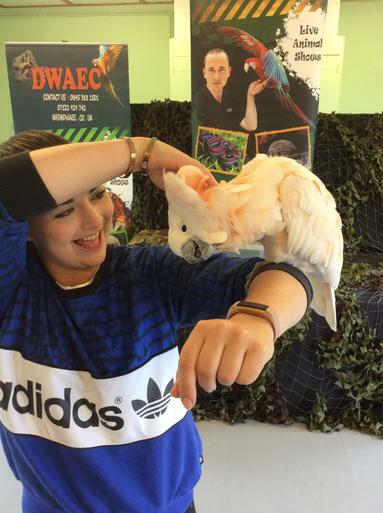 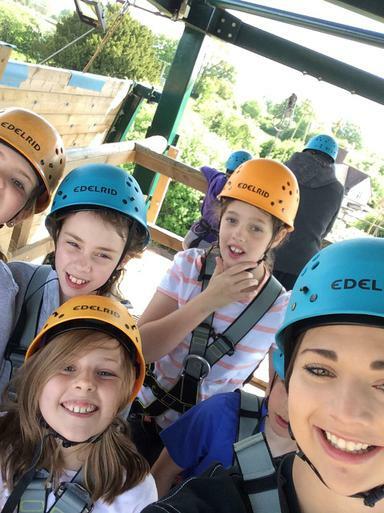 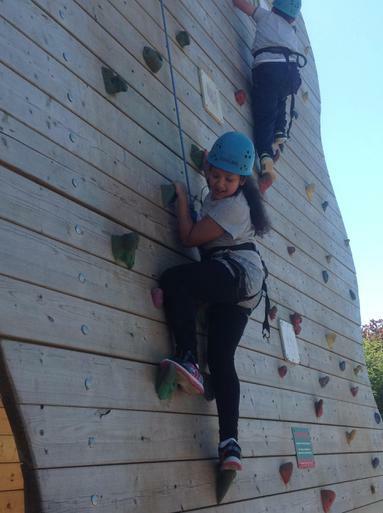 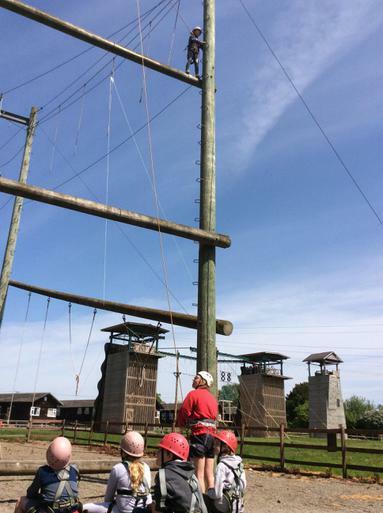 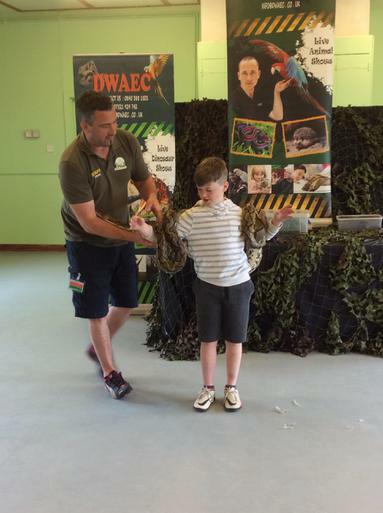 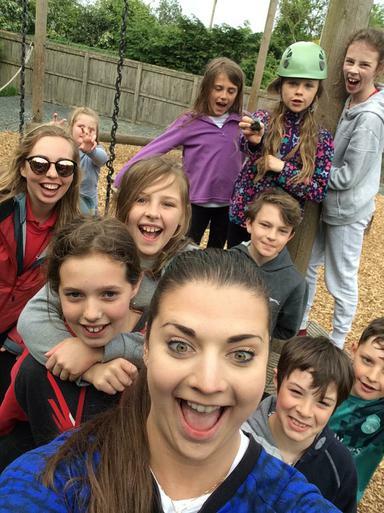 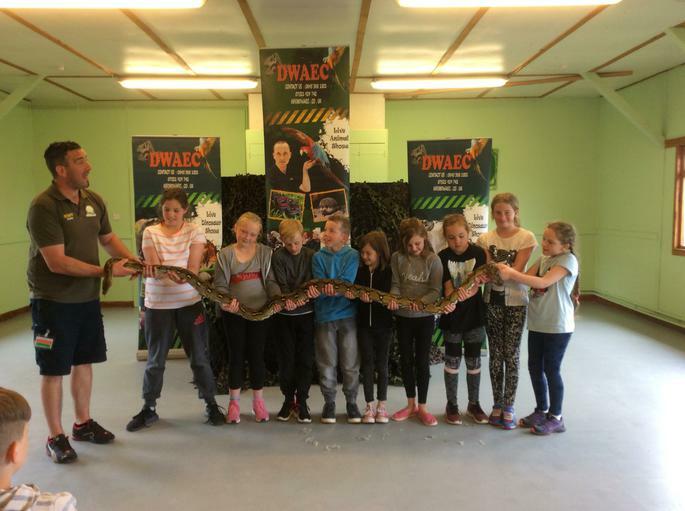 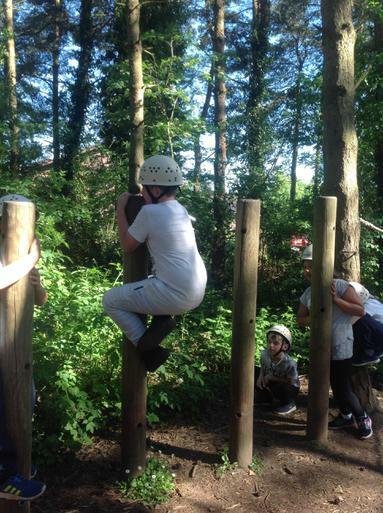 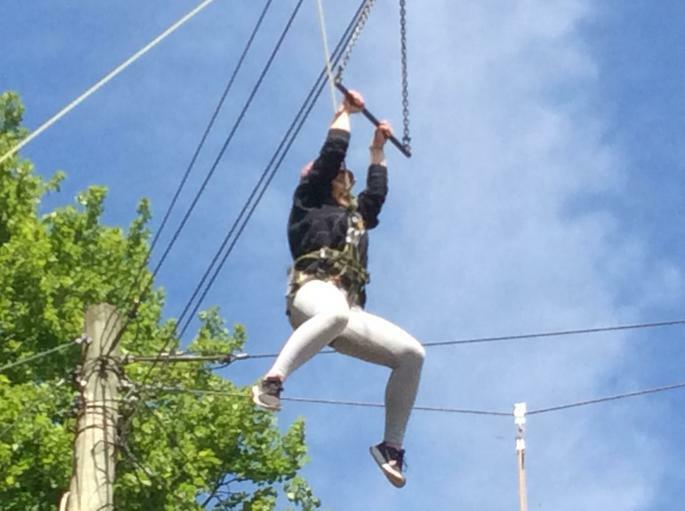 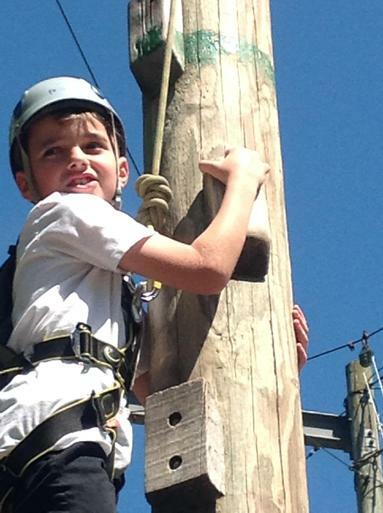 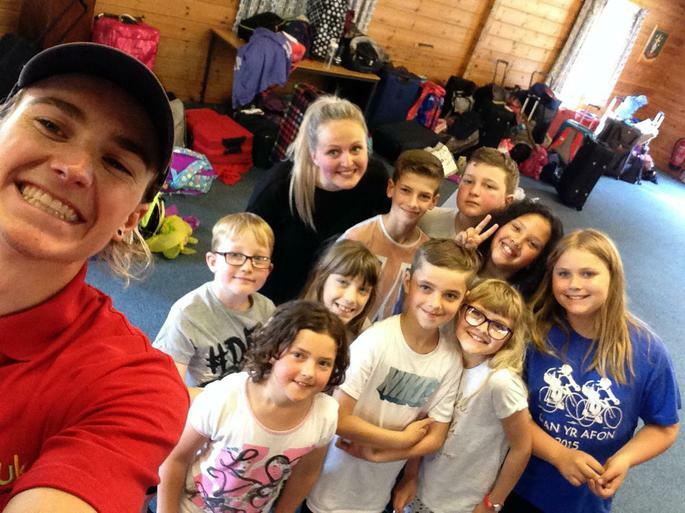 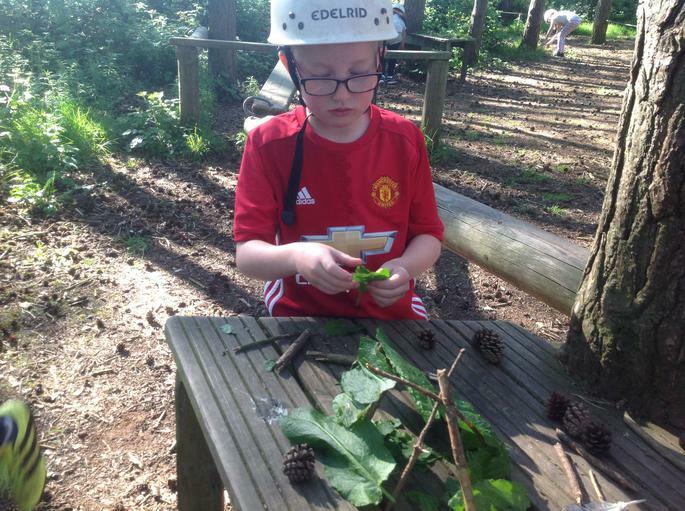 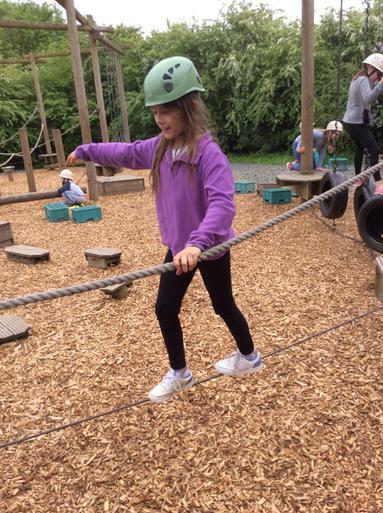 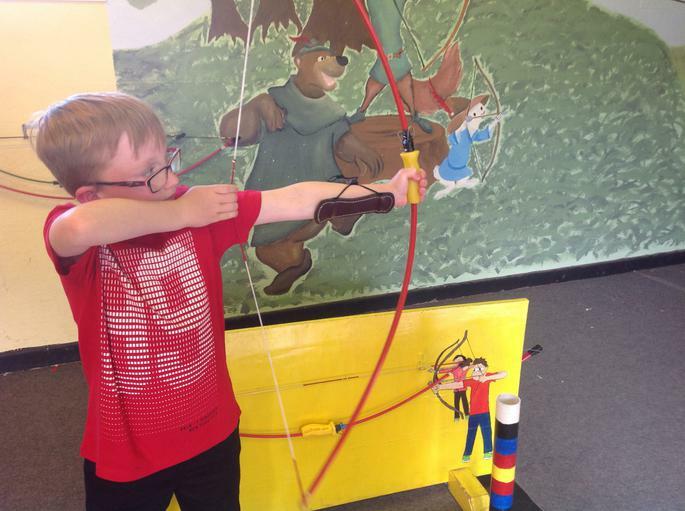 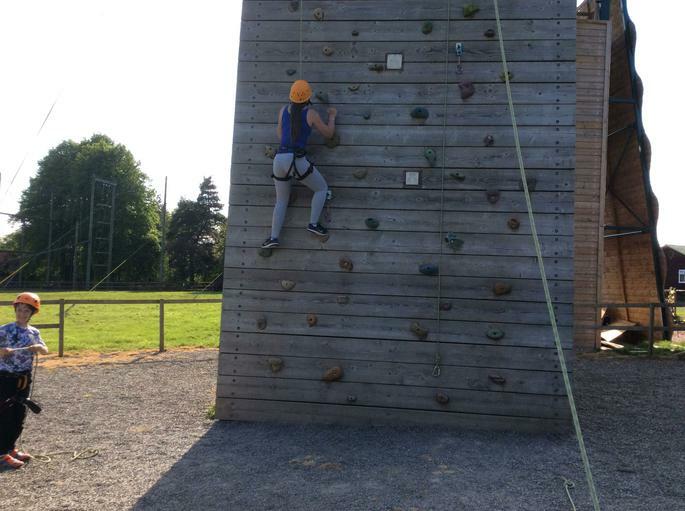 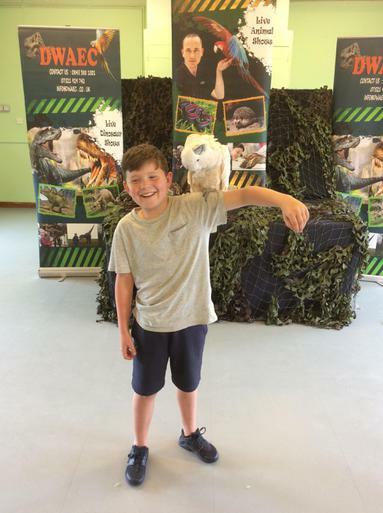 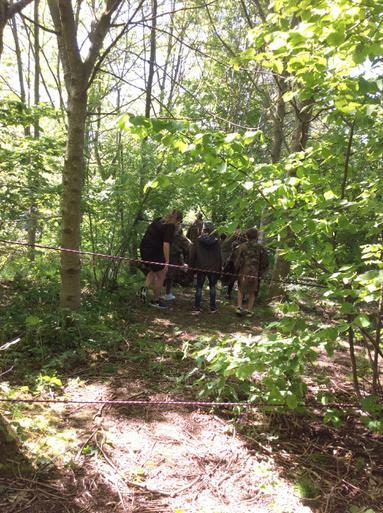 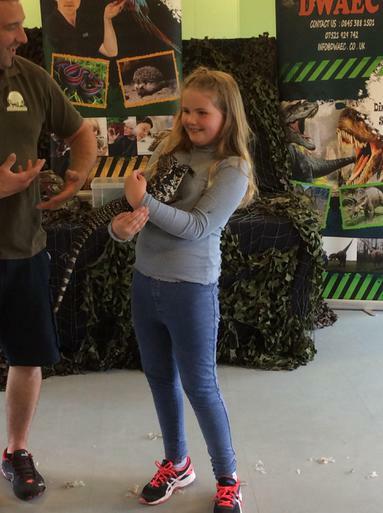 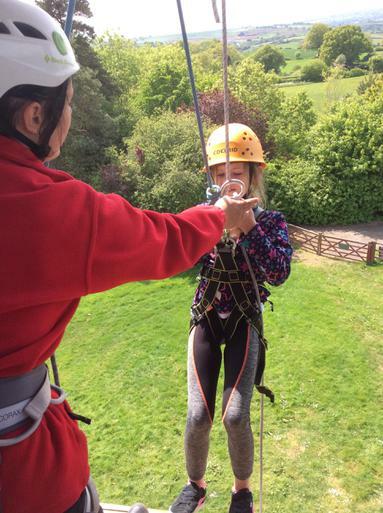 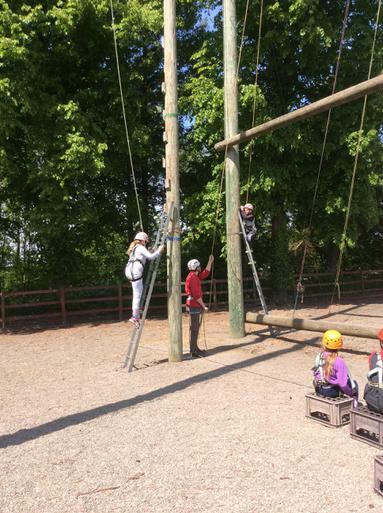 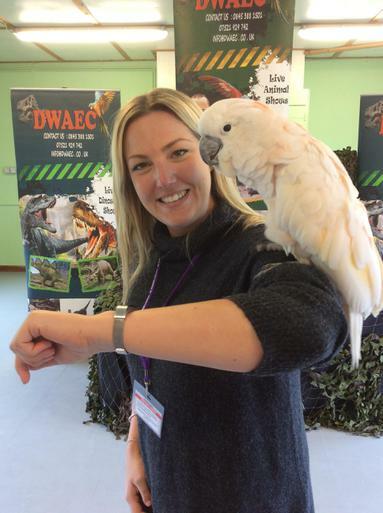 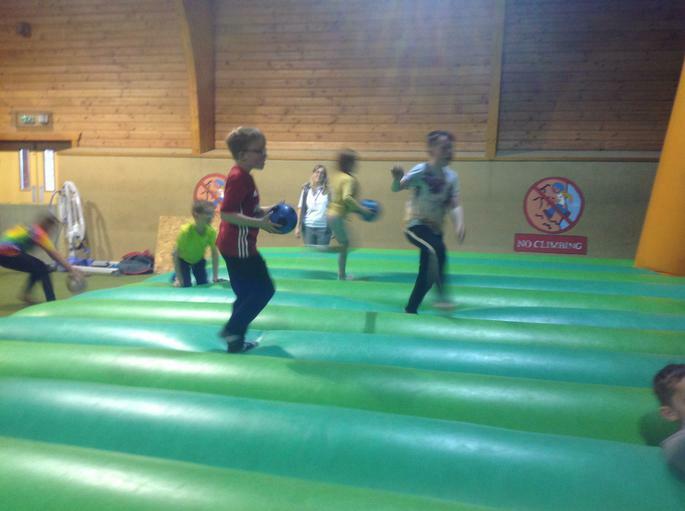 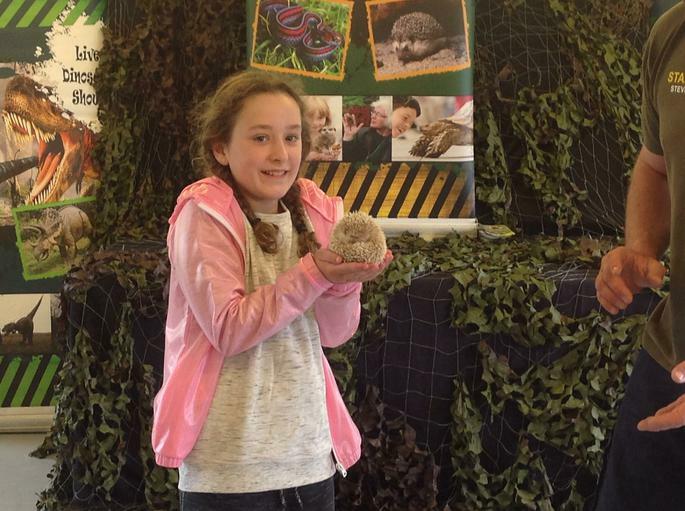 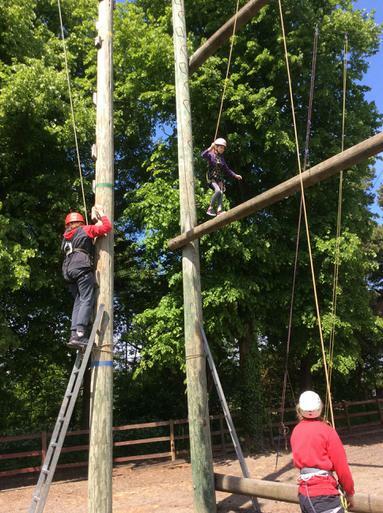 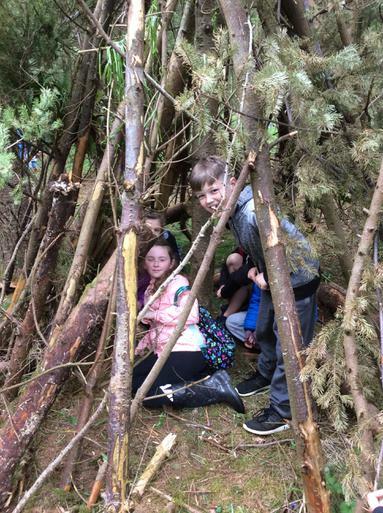 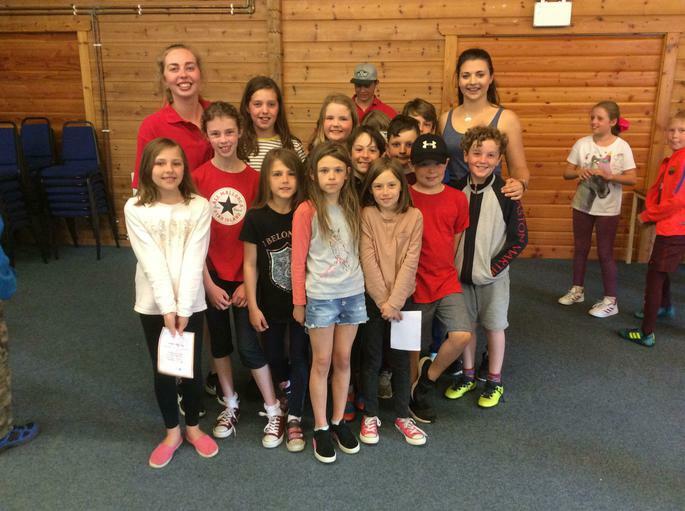 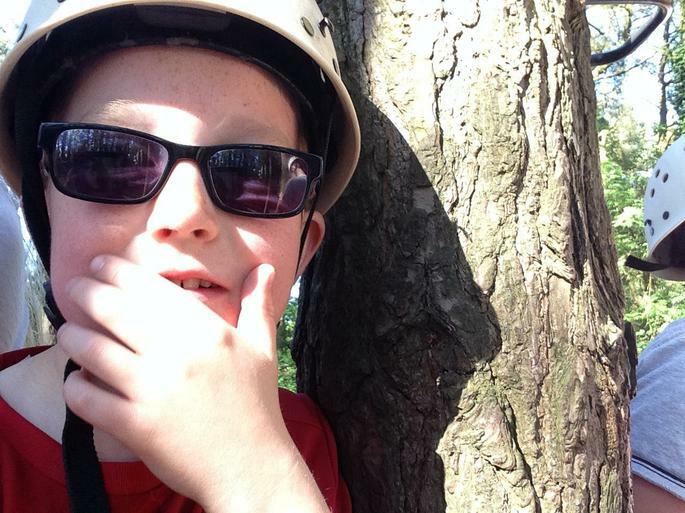 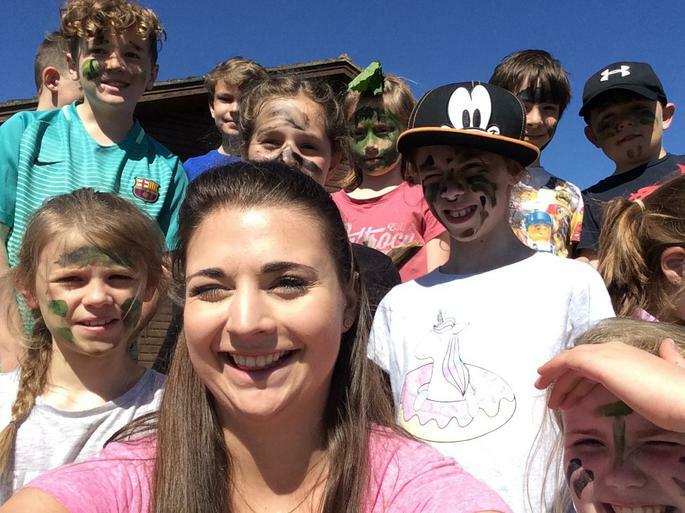 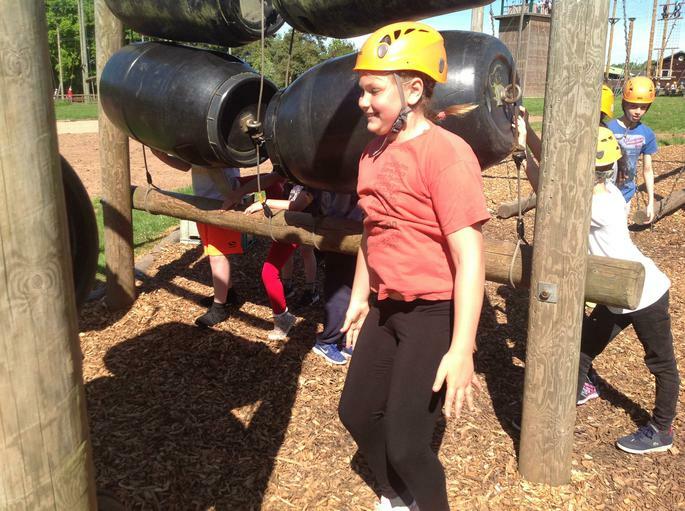 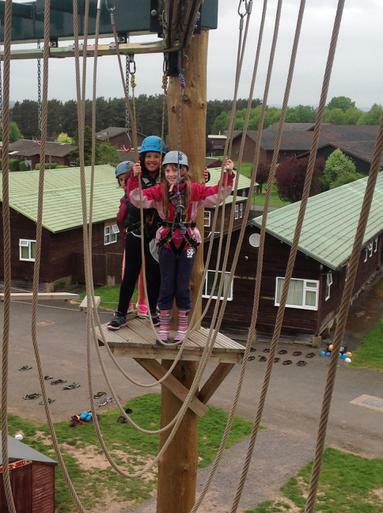 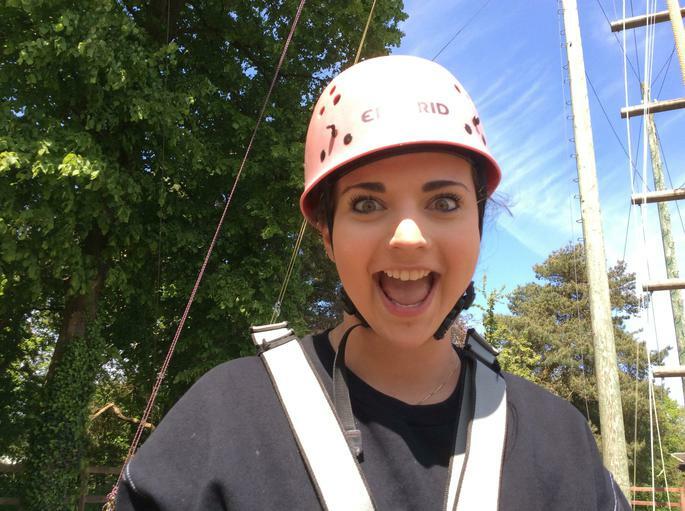 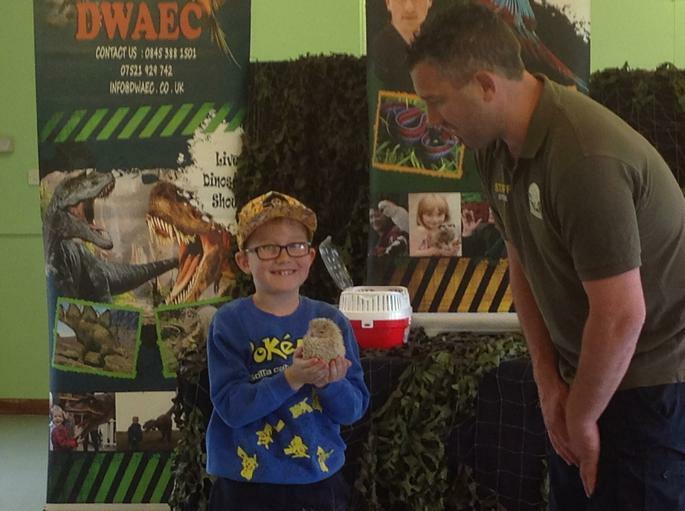 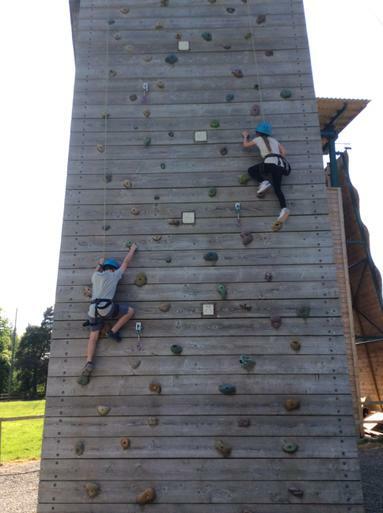 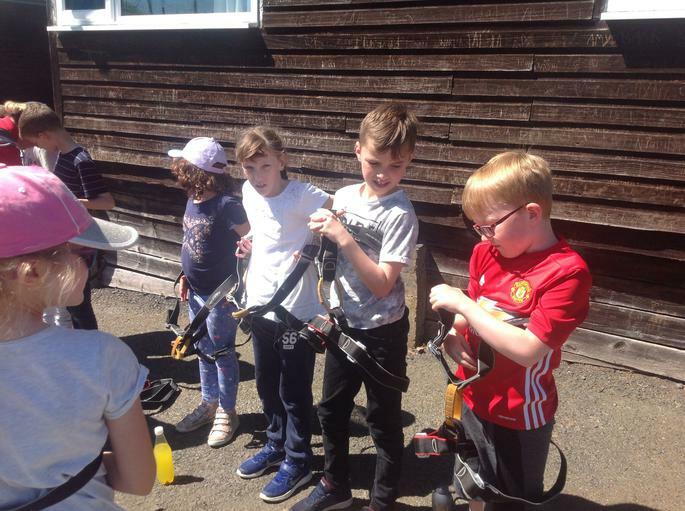 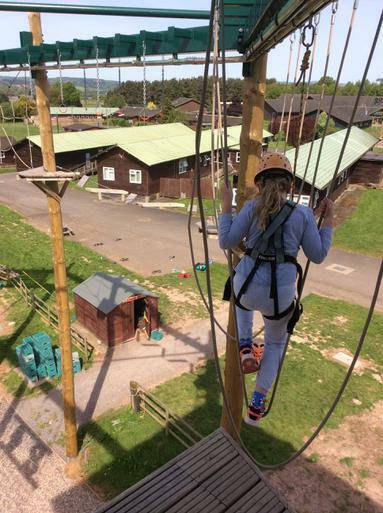 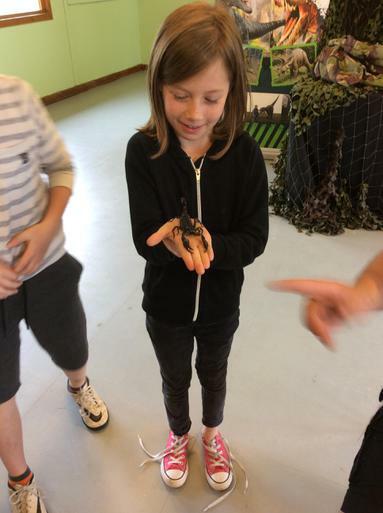 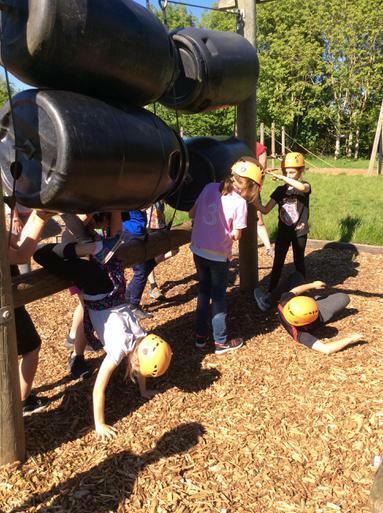 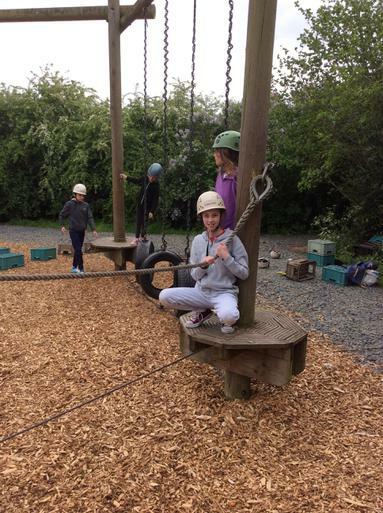 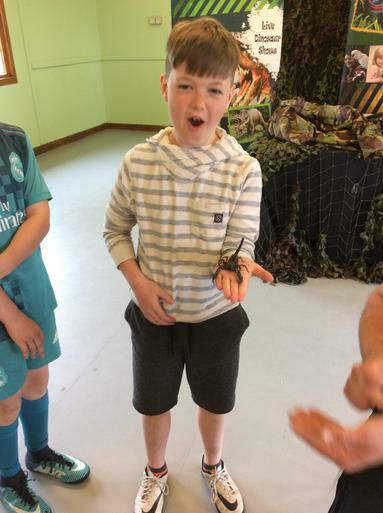 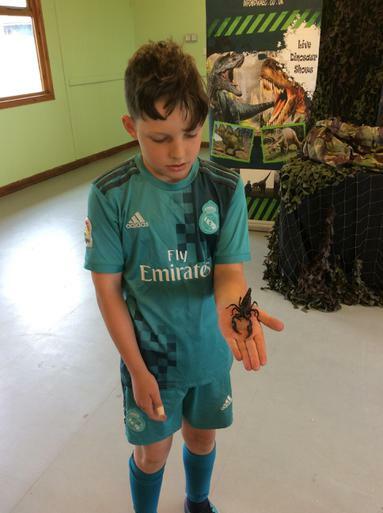 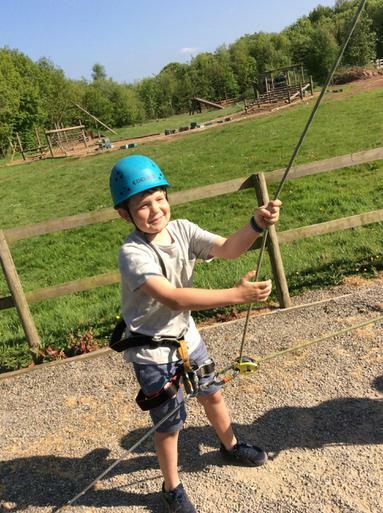 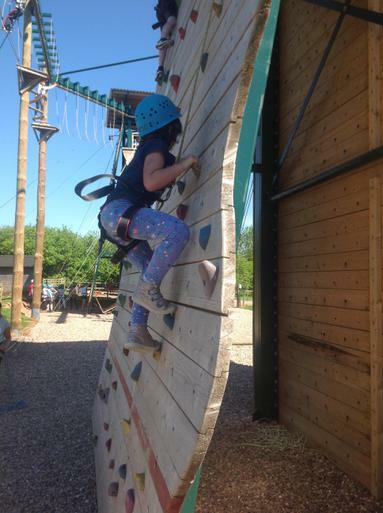 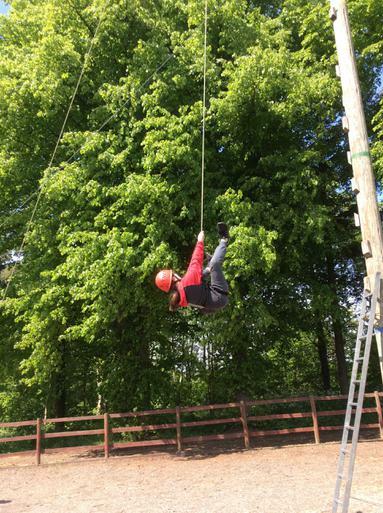 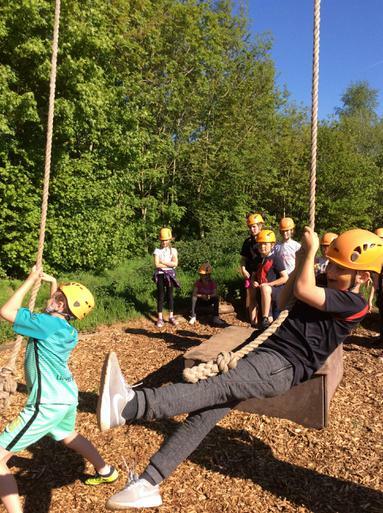 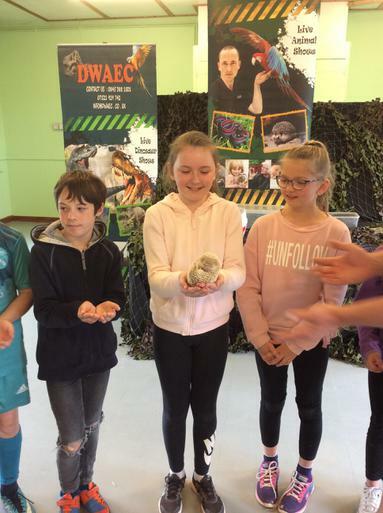 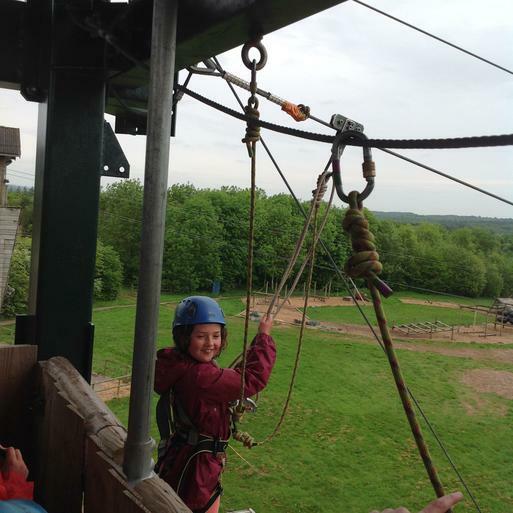 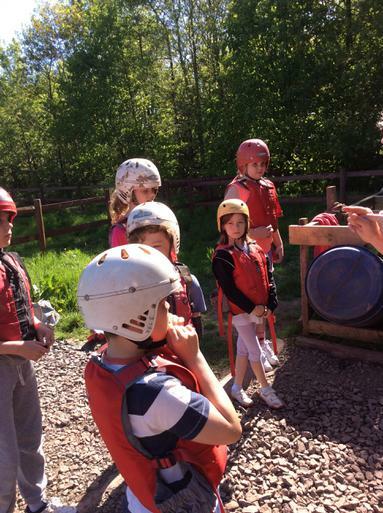 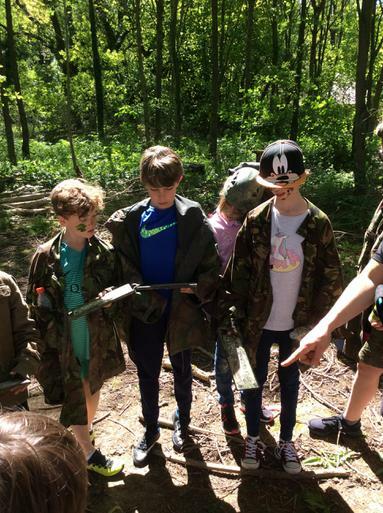 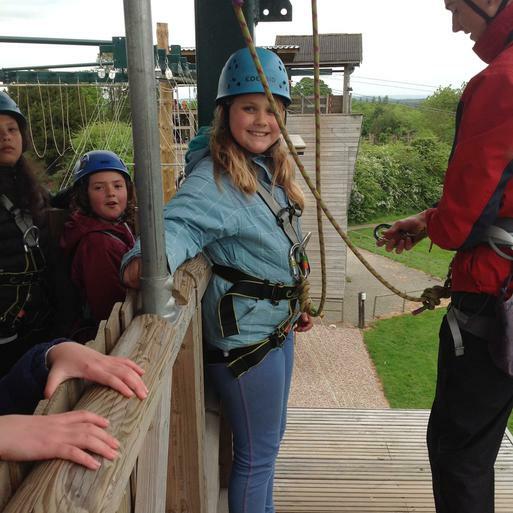 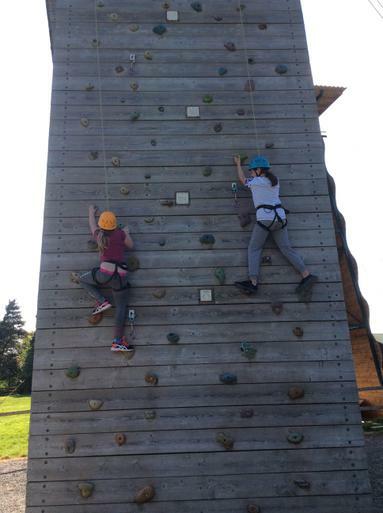 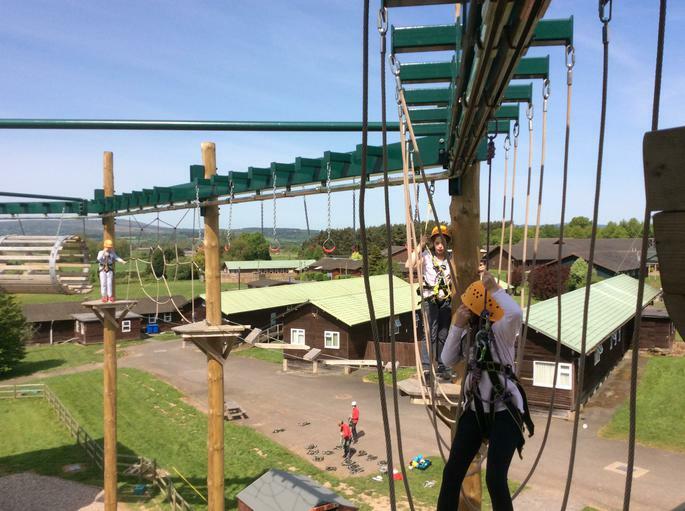 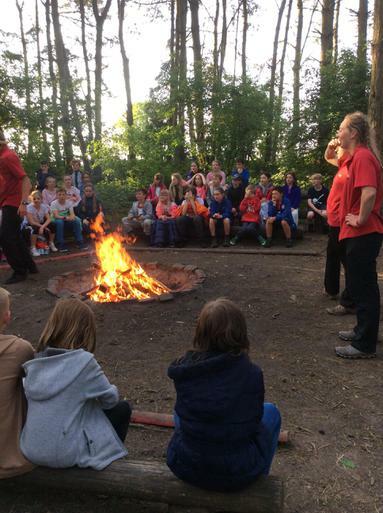 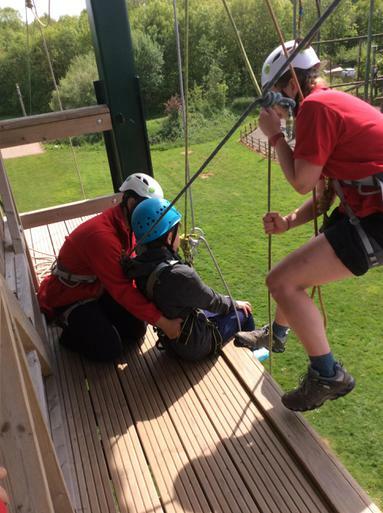 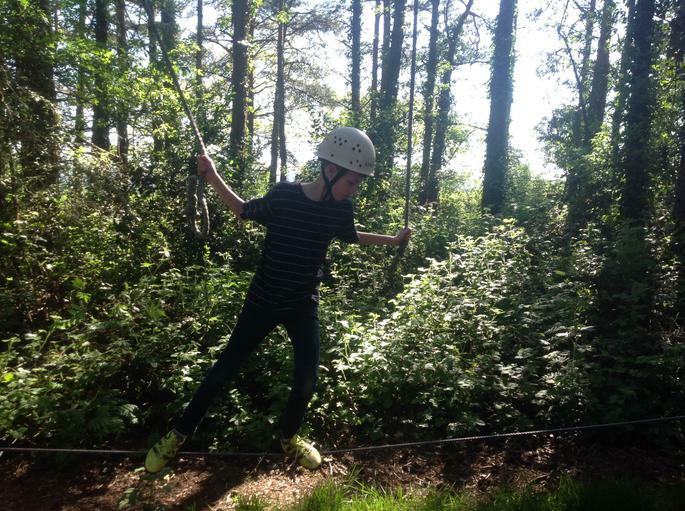 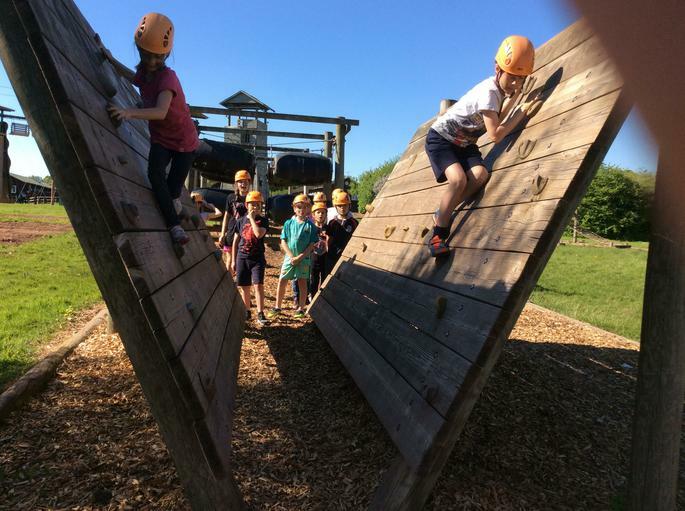 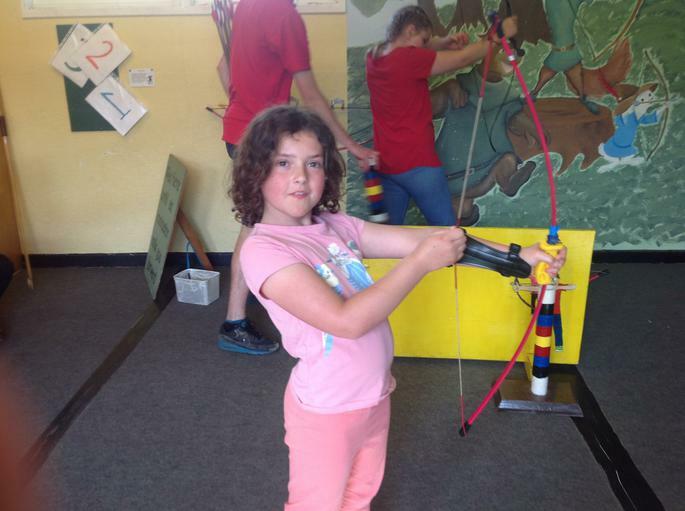 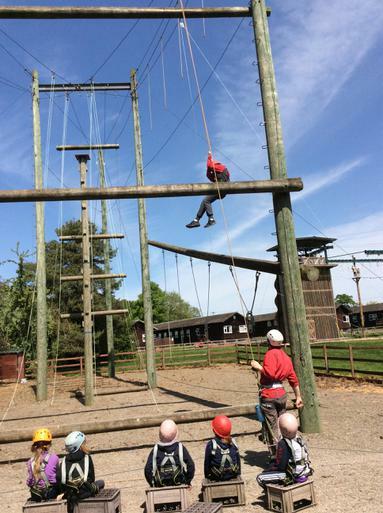 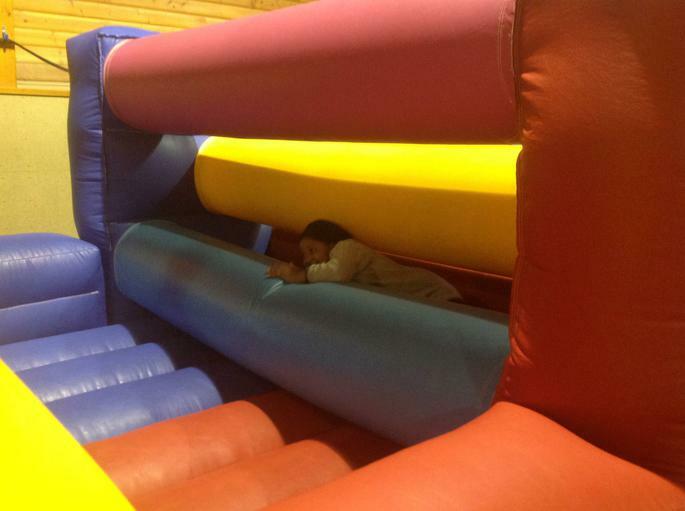 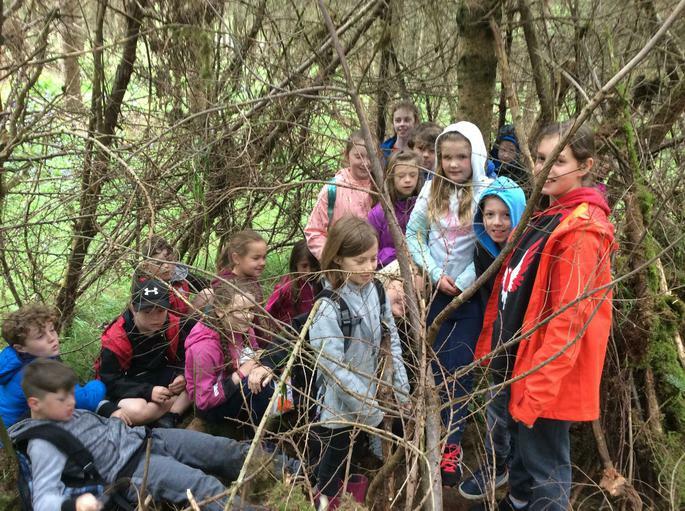 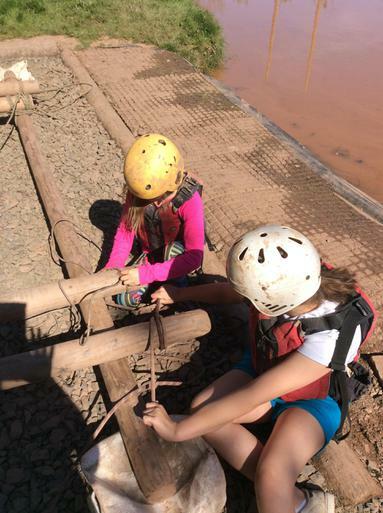 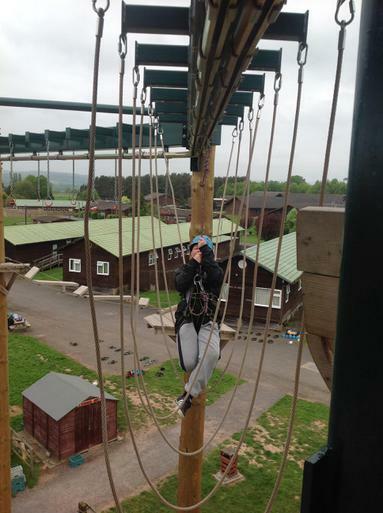 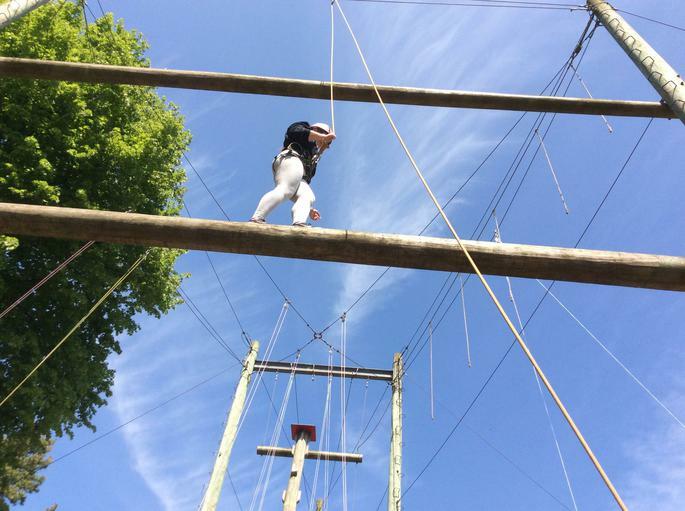 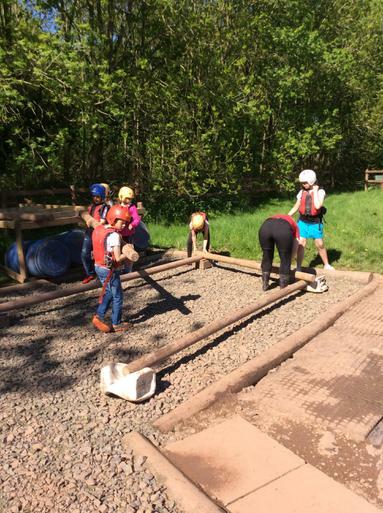 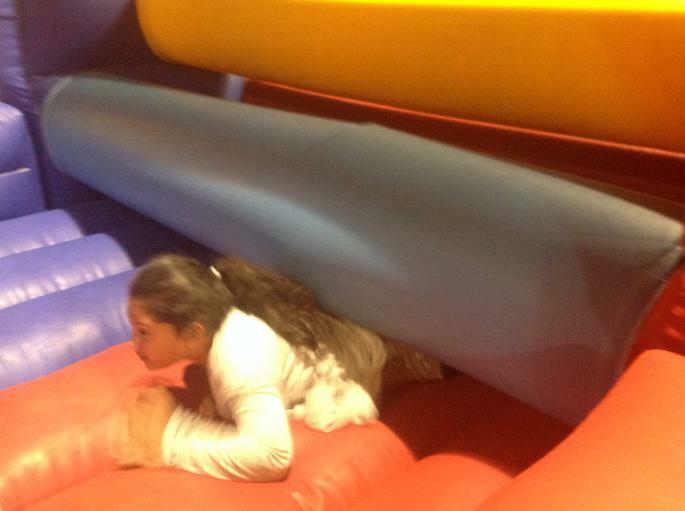 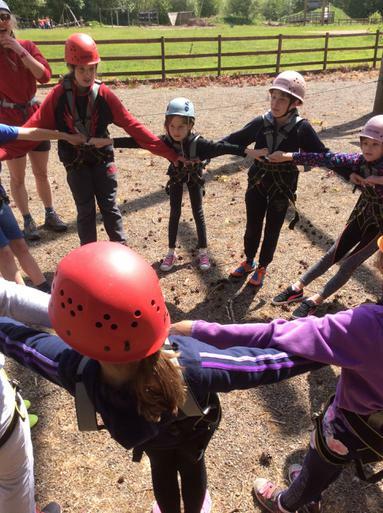 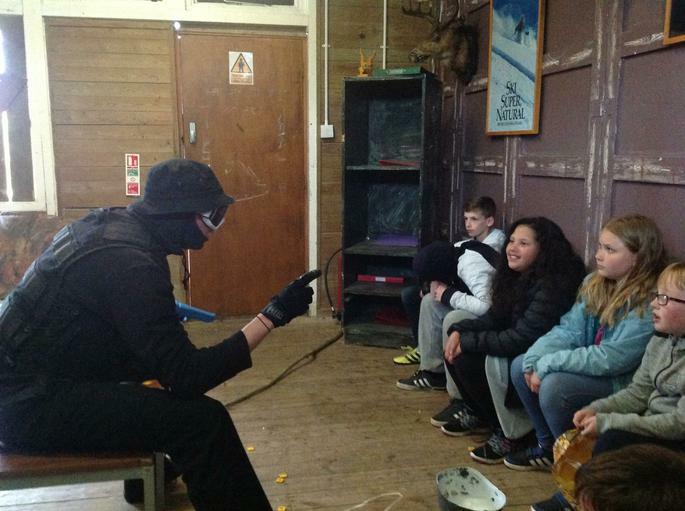 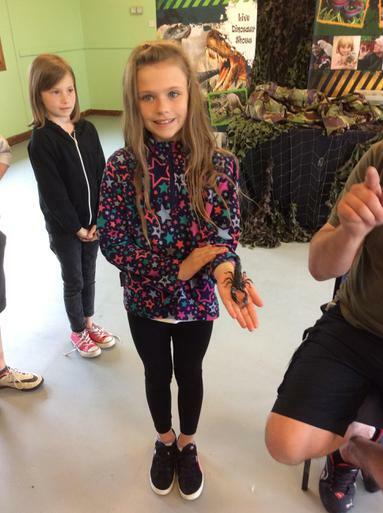 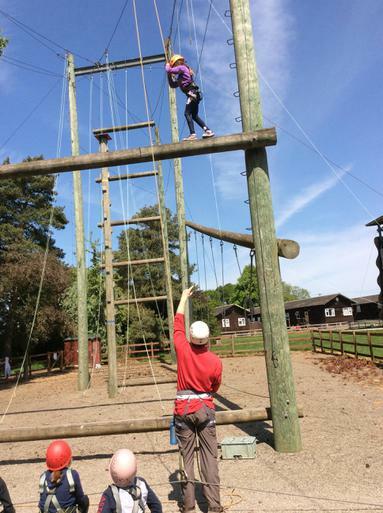 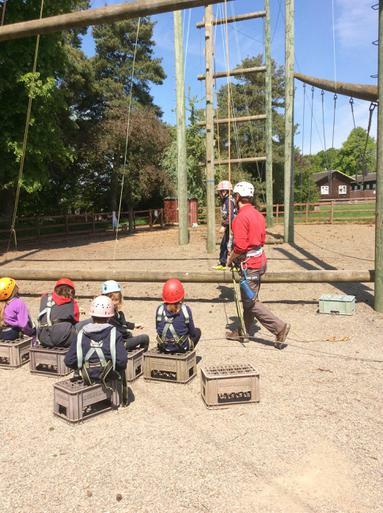 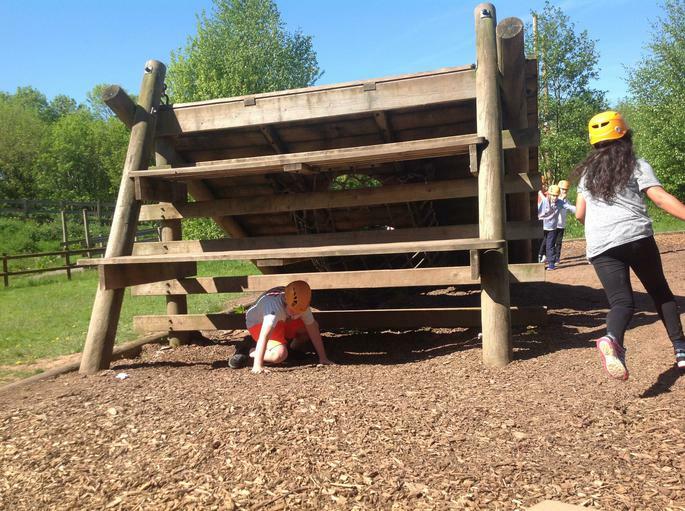 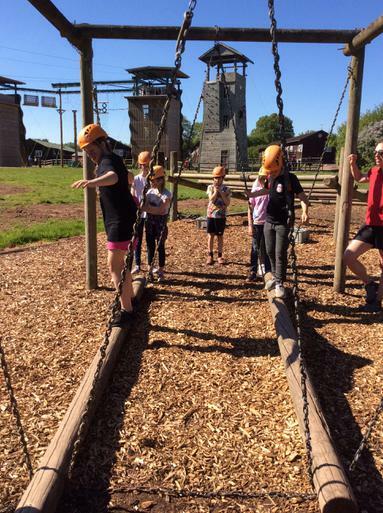 These activities included; high ropes, low ropes, the climbing wall, tropical inclusion, den building, archery, raft building, challenge course, zip wire, big bounce and search and rescue. 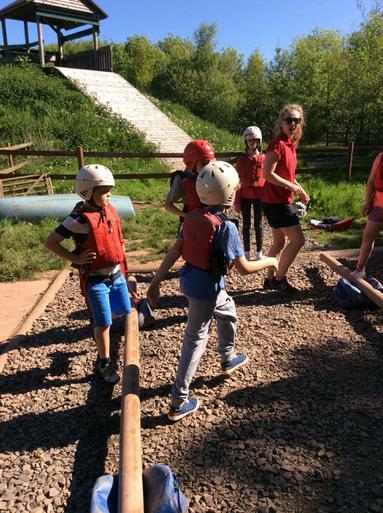 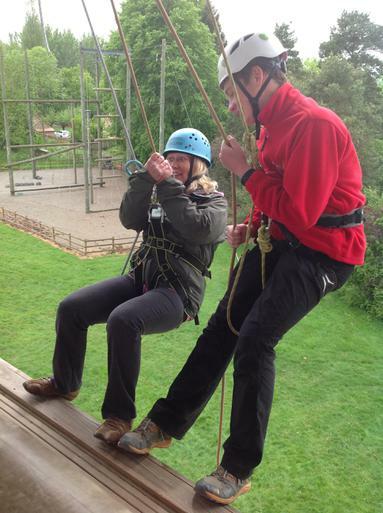 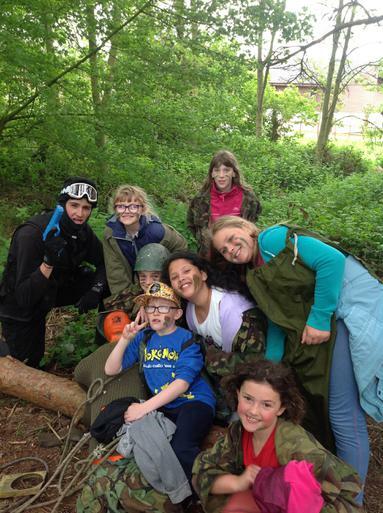 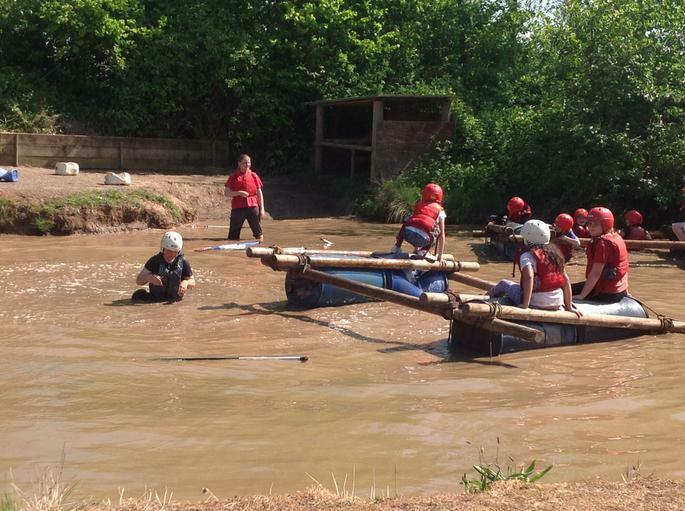 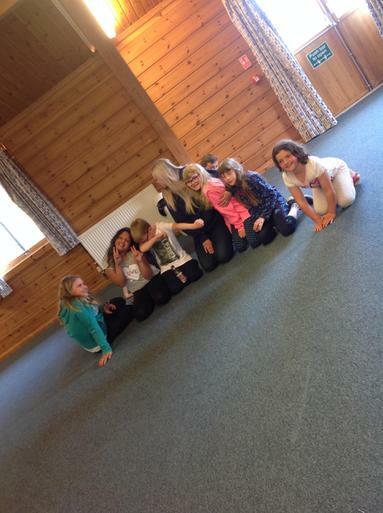 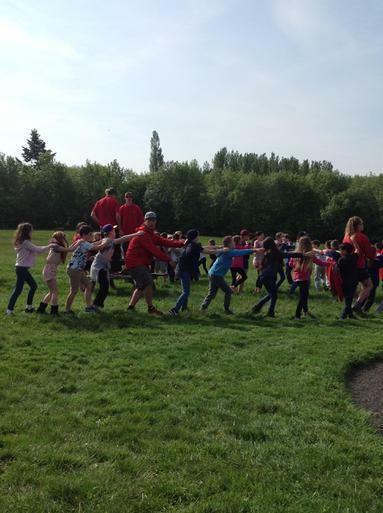 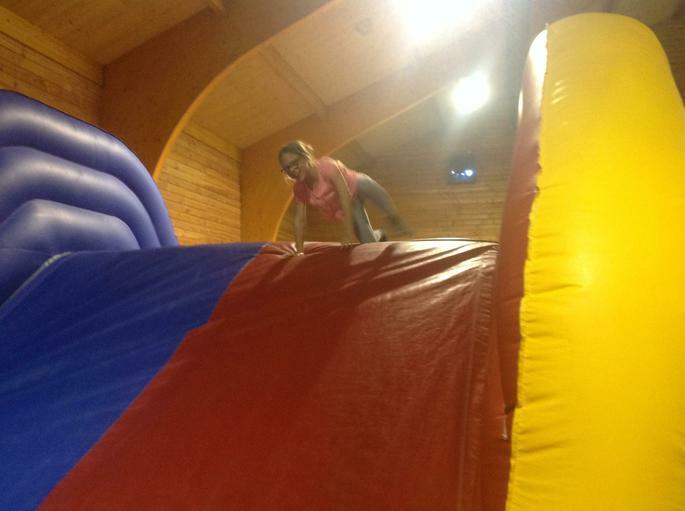 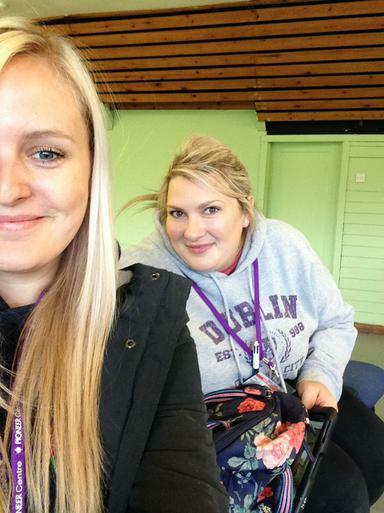 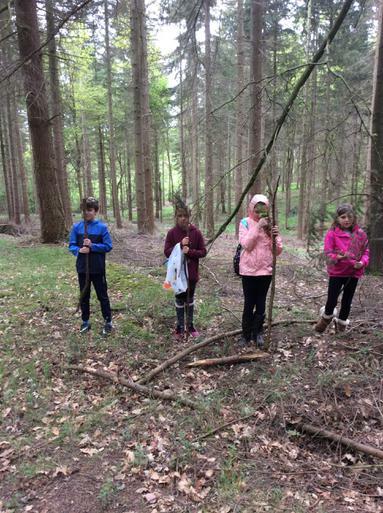 Our staff all had their own groups, with Miss Tedstone leading the way with The Bobbies! 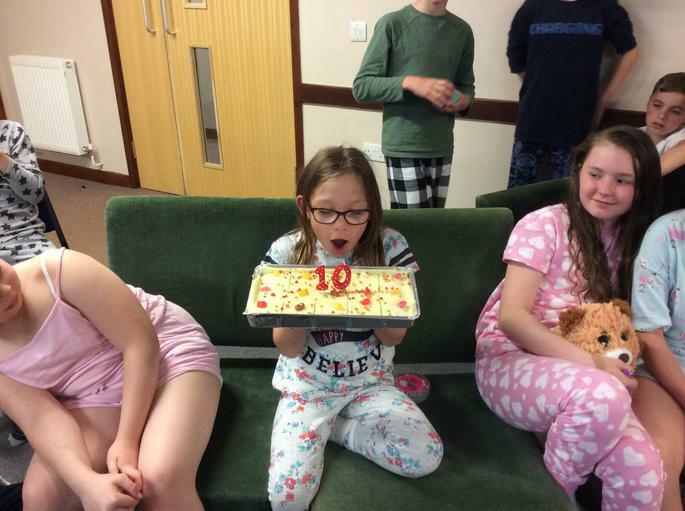 Elsa had her 10th birthday whilst being away and celebrated with a lovely cake! 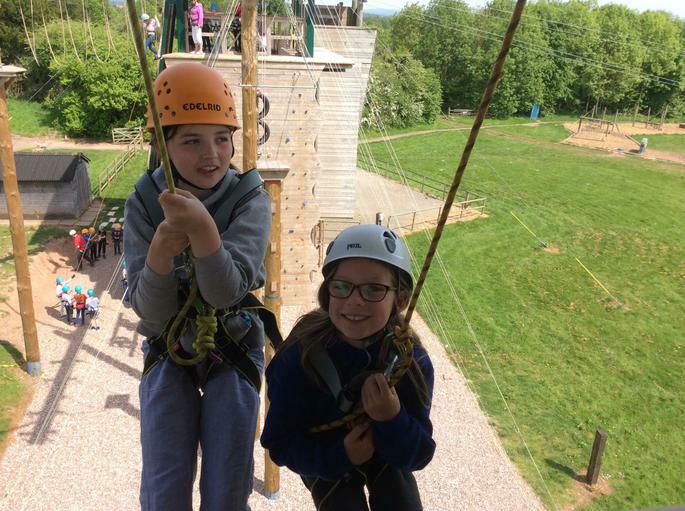 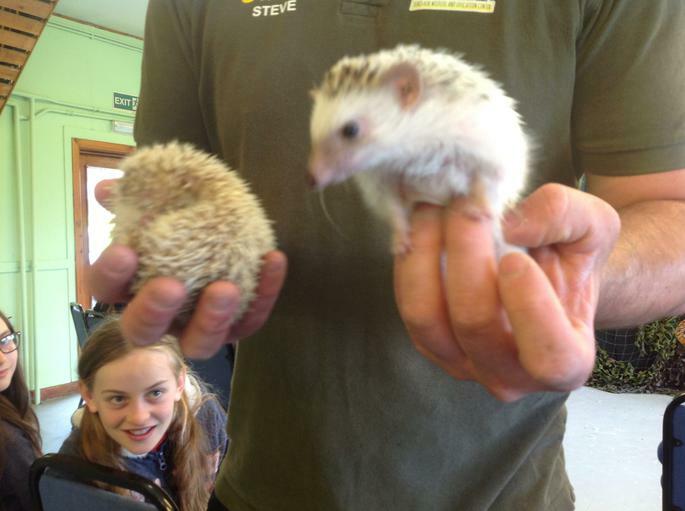 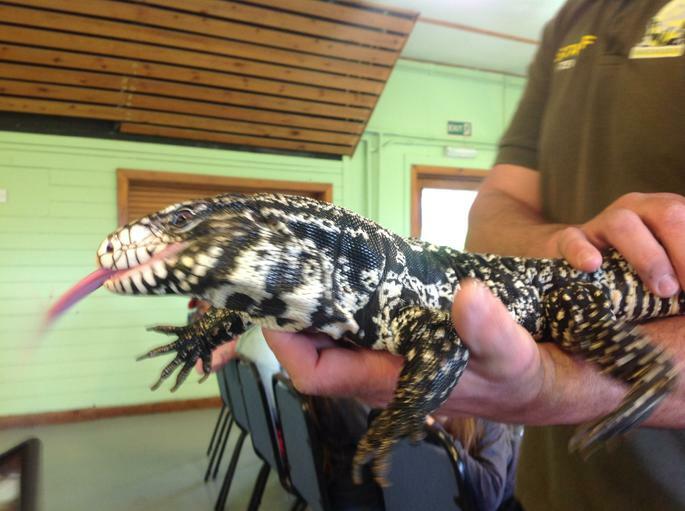 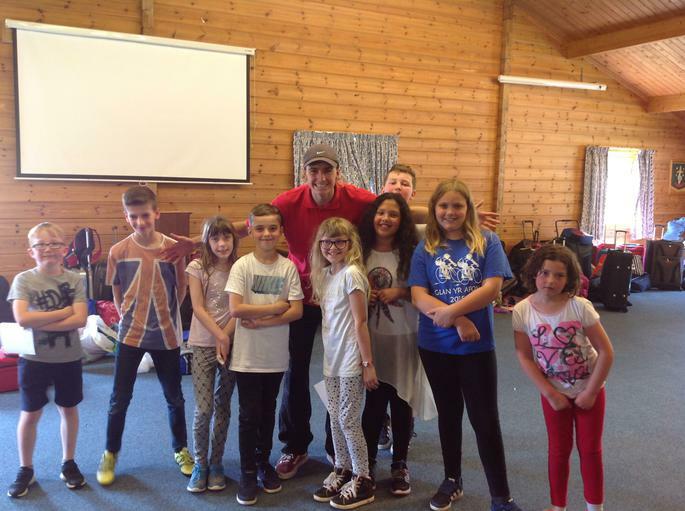 A brilliant week was had by all pupils and staff alike!